[ITA] Edilizia e operazioni immobiliari tra due realtà sono il principale focus del podcast. 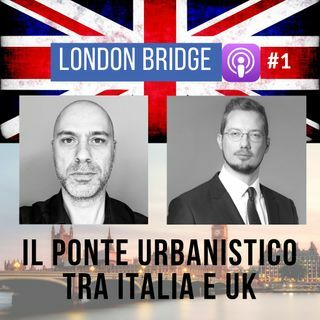 Formazione, strategie e tecniche di trasformazione urbanistica sono discusse da Carlo Pagliai e Lorenzo Pandolfi, con l’aiuto di alcuni ospiti a rotazione. Facci sapere cosa ne pensi con un commento. From strategic planning to conveyancing, from policy-making to academic and professional development, the town planners Carlo Pagliai ... See More and Lorenzo Pandolf will explore the differences and similarities of the two systems. With the help of specialists and guest from Italy and UK. If you have questions, suggestions or if you simply want to join the debate, start the discussion with a comment below. Audio powered by Carmine D'Elia.